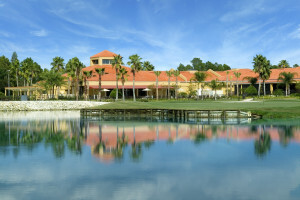 Lakeland’s convenient location between Orlando and Tampa creates the perfect setting for a Central Florida retirement community like Cypress Lakes. If the palm trees and near-perfect temperatures don’t draw you to the Sunshine State, it doesn’t take long to realize there’s much to be enjoyed in Florida. Local residents and travelers alike make the most of the year-round sun, beaches, culture, activities and the laid-back lifestyle. If you’ve been thinking about relocating to a warmer climate, don’t overlook the options here in Central Florida, particularly Lakeland, FL. It’s a charming, historic city where you can easily spend a spend the day sightseeing or shopping. It’s convenience to two major metropolis, plus theme parks and white, sandy beaches make it one of the most desirable locations in the state! Learn more about Cypress Lakes’ surrounding area.